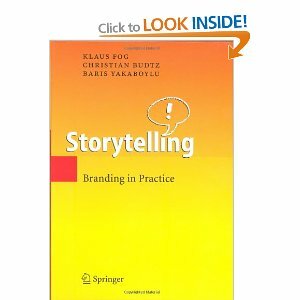 One of the most interesting marriages today in the world of business is the linkage between the ancient art of storytelling and the fast-paced world of branding. The idea for the book was birthed at SIGMA in Europe, and the authors have been working in the field using these techniques since 1996. Story gives meaning to our lives – that is why we tell each other stories. In the beginning was story – the use of story orients us in time, establishing the reality of the world. Story carries the most important part of being human – our values … what we believe in … what we would die for. The authors explore how modern organizations are like the tribes of the past and how closing the gap between strategic intent and what is actually experienced is the most powerful tool in branding any organization. For what is experienced IS the brand – not what is commonly referred to as ‘marketing spin’. Authenticity is the key to a successful brand and this book gives you both tools and techniques to construct marketing strategy. This entry was posted in Branding, Corporate Storytelling. Bookmark the permalink.